In her daring first novel, the youngest Bronte sister drew upon her own experiences to tell the unvarnished truth about life as a governess. Like Agnes Grey, Anne Bronte was a young middle-class Victorian lady whose family fortunes had faltered. Like so many other unmarried women of the nineteenth century, Bronte accepted the only "respectable" employment available--and entered a world of hardship, humiliation, and loneliness. Written with a realism that shocked critics, this biting social commentary offers a sympathetic portrait of Agnes and a moving indictment of her brutish and haughty employers. Separated from her family and friends by many miles, paid little more than subsistence wages, Agnes stands alone--both in society at large and in a household where she is neither family member nor servant. 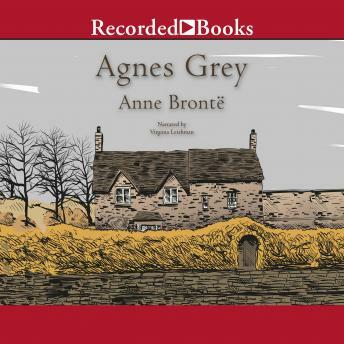 Agnes Grey remains a landmark in the literature of social history. In addition to its challenge to the era's chauvinism and materialism, it features a first-person narrative that offers a rare opportunity to hear the voice of a Victorian working woman.